﻿ Lake Loramie State Park - Ohio. Find It Here. One of the original canal feeder lakes, 913 acre Lake Loramie and the surrounding parklands, offers visitors a quiet retreat in rural Ohio. 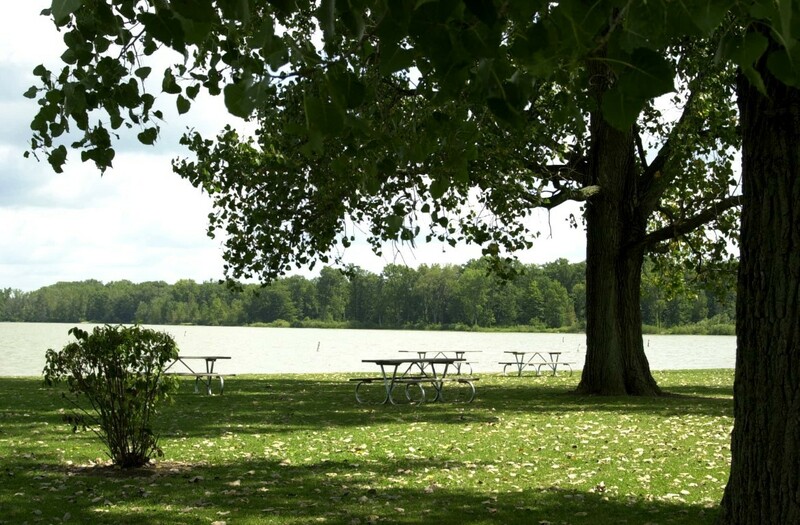 Swim from the sandy beach, hike along the old canal towpath, stay a night in a shaded campsite or boat the lazy waters of 843-acre Lake Loramie.The park's campground supports a colony of the unique bald cypress tree as well as a plantation of sweet gum dating back to the early 1950s. Waterfowl, including Canada geese, frequent the park along with various songbirds and small mammals. Wildflowers flourish in the forests and fields.On the lake, waterlily, cattail and a beautiful display of American lotus enhance the view. A trail leading to Blackberry Island will treat visitors to glimpses of nesting red-headed woodpeckers and barred owls. The park's meadows support a large population of eastern bluebirds.